The ticket price is INR 600/- and includes food coupon of INR 200/-. 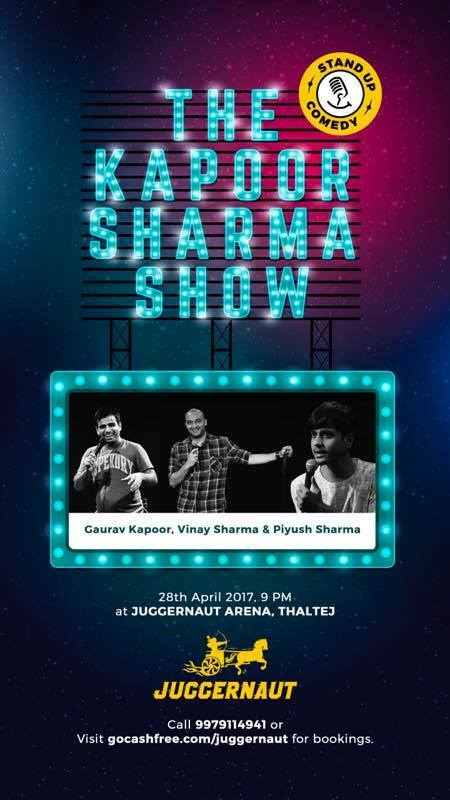 After creating laugh riots across the nation: Piyush Sharma, Vinay Sharma and Gaurav Kapoor arrive in Ahmedabad for a night of hilarity on 28th April. With their unique observational and witty humour, get ready to have your funny bones tickled.